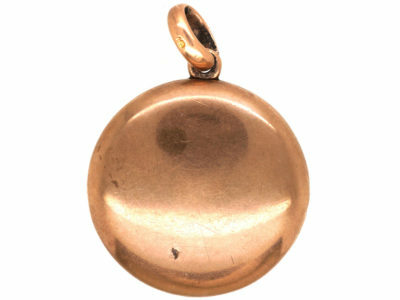 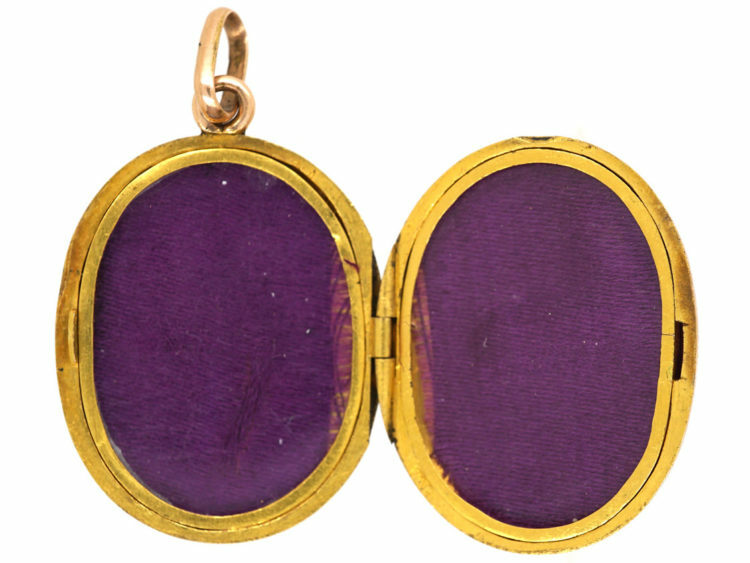 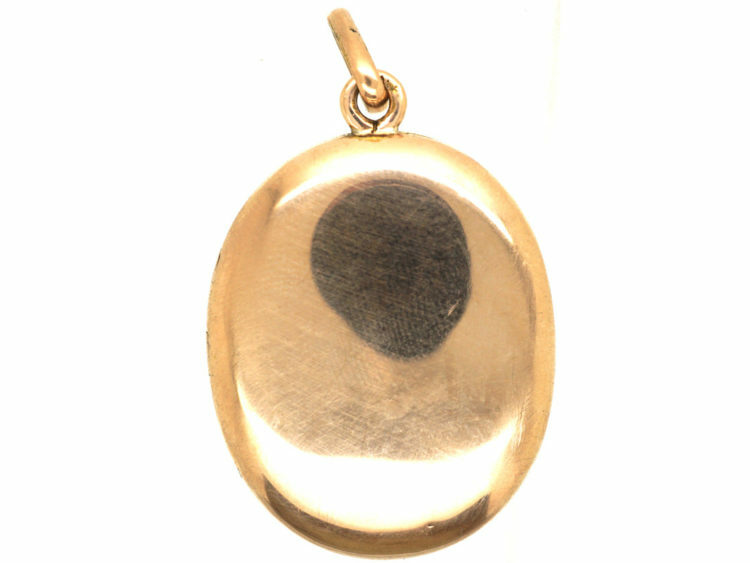 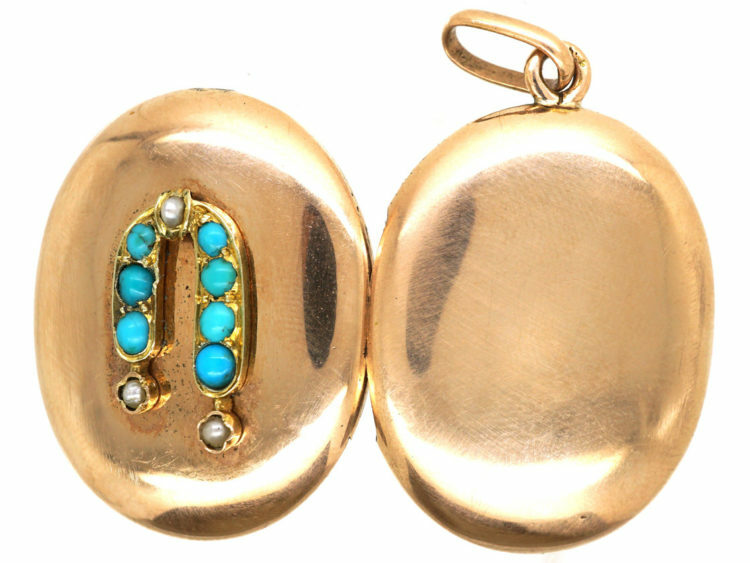 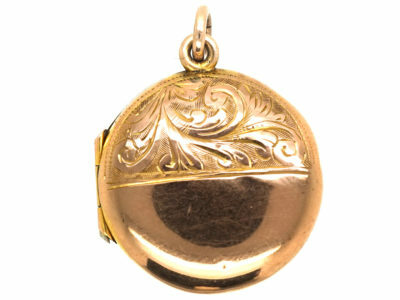 A neat 15ct gold oval locket. 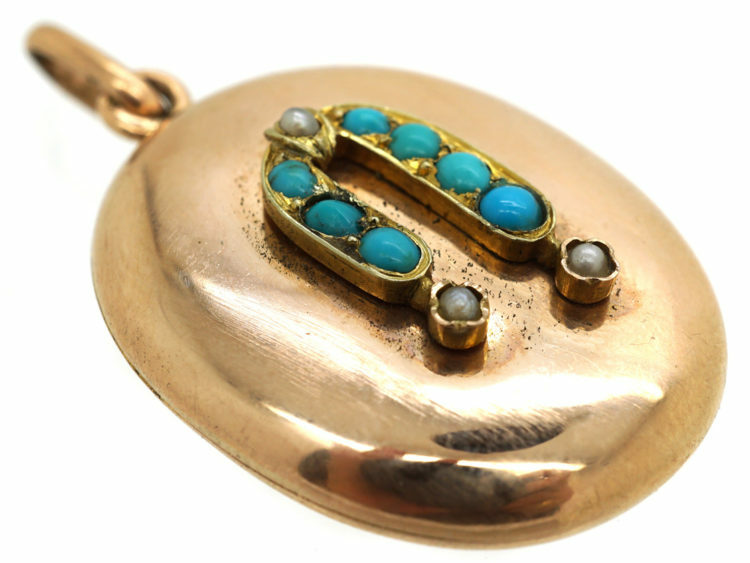 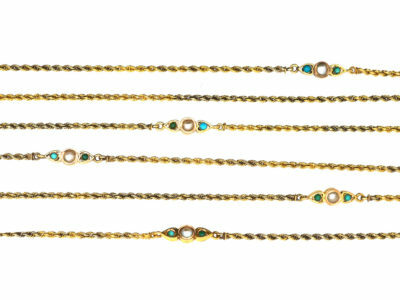 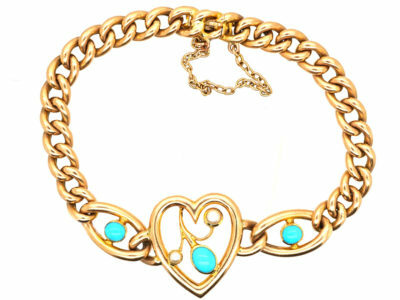 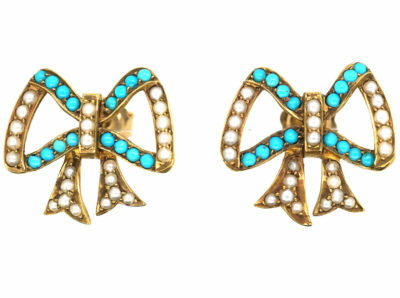 It has a ribbon swag set with seven turquoise and three natural split pearls. 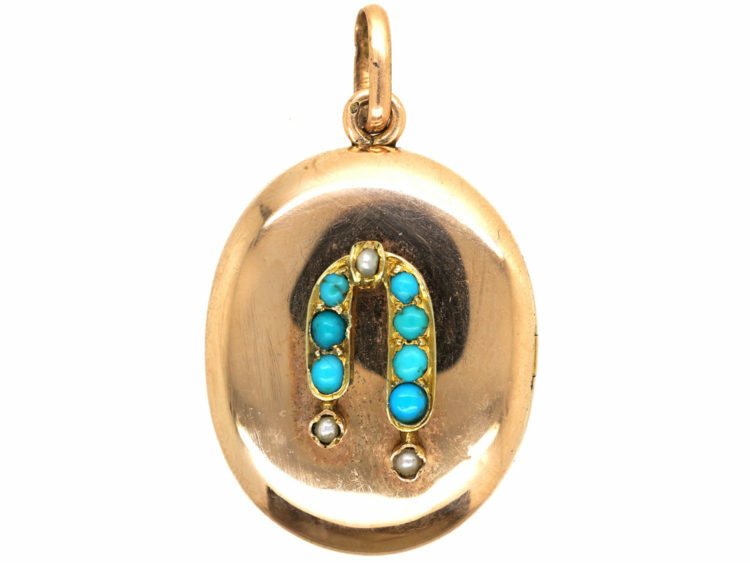 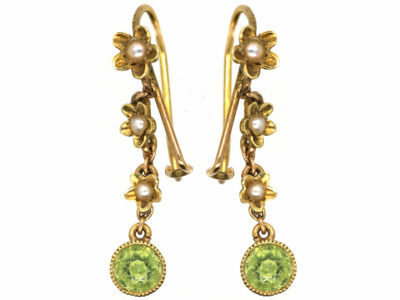 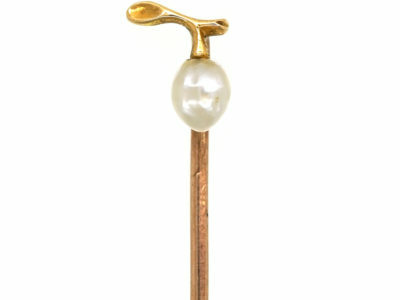 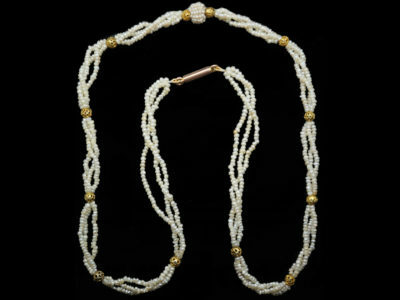 The use of the turquoise had a special hidden meaning as did the pearls. 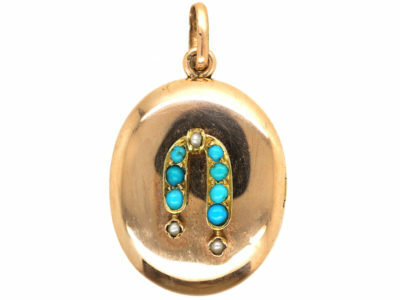 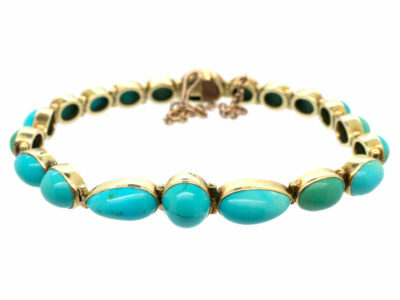 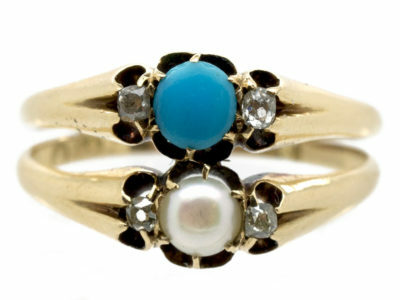 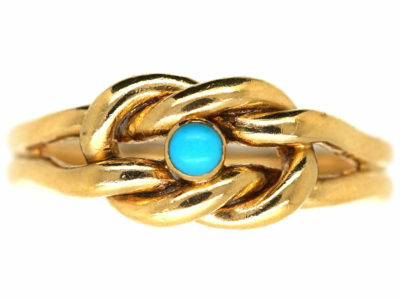 Turquoise meant “Forget me not” after the flower of the same name and pearls were for “Eternal love”. 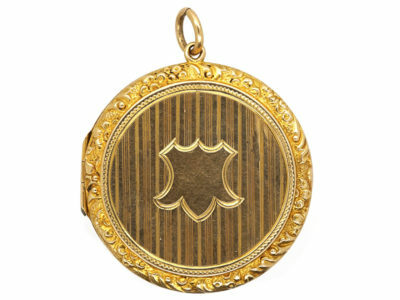 Inside are two locket sections for photographs.